Organization is the key to success, and some are far more organized than others. The reality is I was not one of those born with a natural talent for being organized. I really wish I were more organized than I already am. But 2018 is going to be different, and I am determined to be more organized! Maybe you're like me, and you're looking for some organization ideas. Maybe you're one of the gifted, and you have everything under control. Just know that I am extremely jealous of you if you fit the latter category. I am determined to make 2018 the most organized year of my life. And I am starting in a few ways. The easiest way to start any project is to see if there's an app for it. Seriously, if I had an app in my area to just buy what's on my grocery list instead of shopping, I would just do that. I would pay online, pick up my things and go. Lucky for me, there is an app to help me on my organization quest. Honestly, I can't believe I have lived without this app for as long as I can. And, you know me, if there's something good out there and it's free, I'm going to share it with you! Free makes everything better. I Downloaded Cozi And You Should, Too! First things first. Many of you know me in real life, and if you know me, I love to save money shopping. If I can coupon it, I will. Maybe there's a promotion or a sale where something is discounted, I'll jump on it. And if you really know me, I'll go out of my way for something free! So when it comes to apps, I rarely ever purchase an app. Why purchase an app when there's so many great free ones out there?! I look for apps to help me make money, save money, and make my life easier. Some apps that I download are absolutely worthless. But not Cozi. 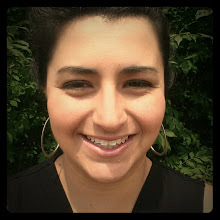 Cozi is one of those apps that really makes a difference in your everyday lives. It has to do list options, grocery lists, recipes, a daily journal, and a fantastic calendar with alerts and reminders. Oh, Cozi! Where have you been my entire life?! Yes, I realize the silliness in being over dramatic. Cozi is one of those apps that makes you feel organized even if you're like me. I think my favorite feature has to be the daily journal. I don't use the journal option everyday. But there are just some days that you want to remember more than others. Some people keep daily journals and diaries like it's nothing. They are so accustomed to these routines, it's second nature to them. Me? When I write in a journal or diary, it's about as much fun as pulling teeth at the dentist's office. And it shouldn't be! The reality is there's so much I would rather be doing. I live a life of chasing lazy sometimes. But I feel I am missing so much getting lost on the internet or my phone. I really want to be more organized so I can actually do everything that I want and let the other stuff just go. Another feature that I love about Cozi has to be the calendar. I use it more than any other feature on this app. My favorite with the calendar option has to be the reminders. I am constantly forgetting everything. Not with this app! Cozi sends out daily reminders and gentle in app alerts reminding you of everything coming up on your agenda. There's an option to log in on your PC to put in longer reminders. I love to do this with a fixed schedule. You know you're going to work everyday, but you sometimes forget if this is the week for payday or not. Just type it in the calendar, and set it to your pay schedule. Never forget when payday is again. You will notice on my picture here on the left, there are lots of colorful dots. Cozi gives you the option to set what events are for who. I have orange set as the entire family. It's my husband and one of my son's favorite colors. I have my personal agenda set as red to show priority. My husband is blue to show his tasks and email him with gentle honey do reminders. Jaiden is purple because he does stuff with both mom and dad. Liam, my youngest, is yellow. He doesn't have as many activities as brother or mom and dad...yet. And there's even colors selected for our pets to remind of vet visits and medication. It also helps to keep track of when bills are due. You know you're going to that game or recital for you son or daughter, but did you remember to pay the electric bill? Cozi can remind you days before your bill is due so you'll never forget. I am feeling more organized talking about it now! If you're like me, you can be sitting at work or on the toilet and think, "Hey! I think we're out of trash bags at home. I need to write that down." So you remember 10,000 other things you're supposed to do or buy, and suddenly, you feel overwhelmed. And, if you're really like me, after you write it down, you leave it at home on the kitchen counter or on the table. Then you go to the store, try to remember everything, and come home with items you didn't need and half of your list still missing. Ugh! It's frustrating to go through all that planning and thinking only to leave your list at home. And it's not always cost effective to drive all the way back home especially if you live far away from your grocery store. Here's yet another reason I love Cozi as much as I do. Never forget your grocery list or to do lists again! 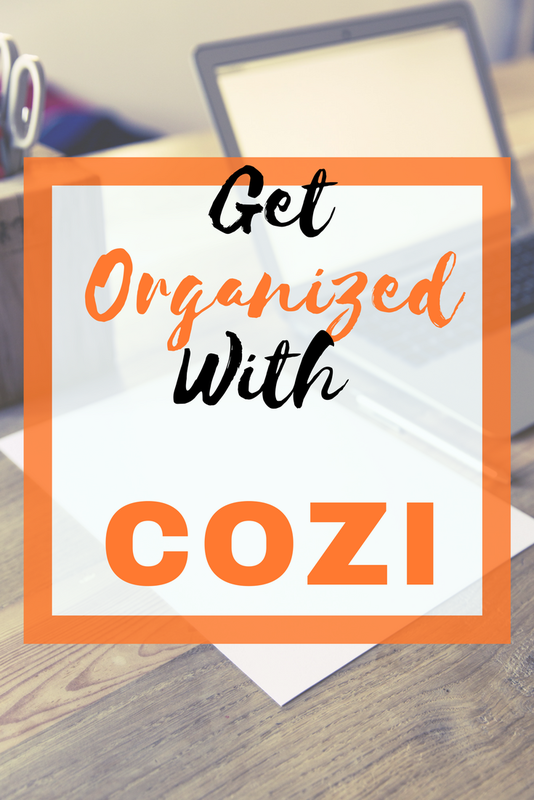 Cozi has two main options: to do lists and grocery lists. The best part? They actually show up on your opening screen. The moment you open your app, there's your daily agenda, your to do lists and your grocery lists all at your finger tips. In case you haven't noticed, I am seriously spoiled to this app. Ah. The power of organization! As you go through your lists, Cozi has options to easily check off what you have done or what you are buying. You can easily delete or edit items for your next list. My favorite part of this feature? You can easily share your list with anyone. Can't make it to the store this week? Send it to your spouse. Sudden accident or something come up? Send it to a friend or family member who can help you out. Working on that play at school or church? Now you can send supply lists to your fellow parents or coworkers. The options are nearly endless, and I didn't even have to leave my comfy couch. I can really get into this organized stuff. There's nothing like coming home from a long day's work only to have your family bombard you with, "What's for supper?" If you believe that actually thrills me, I have a stellar deal on some invisible designer clothes created by Prada! I really want to know where it is in the contract of parenting and marriage where Mom is the go to source of food? I seriously missed that in the Agreement Clause. Luckily, here's yet another feature by Cozi to save the day. There's a fully loaded recipe box with tons of great recipes. There is one big downside to this feature, and that is you can't get rid of the recipes you don't want. Somehow, I doubt I am going to make Thai Beef and Cabbage. But these Lettuce Tacos do look fabulous for this summer. So what about the recipes you actually want to try? There's a feature where you can add your own recipes just like mom and grandma used to make. Or maybe it's your own culinary creation that you just don't want to forget. Are you a Pinterest addict like me? Try saving those fabulous pinned recipes on here. I do wish there was a way to connect straight to your Pinterest board. But there I go again with my first world problems. I am so spoiled. The recipe option with Cozi is a great way to figure out what's for dinner. And if you actually have a minute or two to plan your meals for the grocery store, just hit the grocery cart icon. This adds all the ingredients to your next grocery list so you don't forget anything. I just hit a whole new level of lazy and time saver. That is amazing! There are some imperfect things about Cozi. For example, if you look at all of the pictures on this post, you'll see they have one thing in common: ads. But I personally don't mind the ads. You're welcome to get Cozi Gold ad free if you choose. The price isn't unreasonable at $29.99, but like I said, I'm too financially tight to spend a dime. Free apps are usually just fine for me. Paying for apps is the worst in my opinion. There's a few good features to buying it like the birthday tracker, different shopping modes, calendar search, etc. But it meets my needs without spending a dime! If I can save time and money, I want to be able to share that with you. 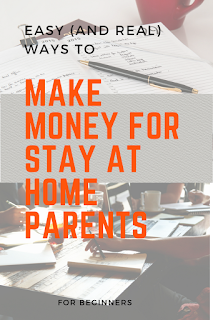 The whole point of my blog is trying to figure out a way to make you a better parent, more organized and bring the family together. Our kids won't stay small forever. And we don't want their only memories of us in front of some screen their entire lives. Be sure to download our free Family Night Planner. And let's keep growing happy and healthy families! Next week, I'll be posting about other great ways to stay organized in 2018. Be sure to watch for more articles on staying healthy as well. Being sick is never fun, and it's miserable to watch our spouses and kids feel so bad.